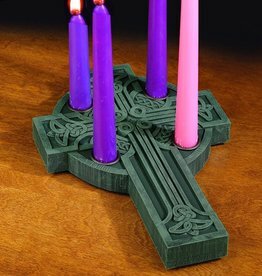 Celebrate Advent with our Celtic Cross Advent Wreath! Measuring 9”x12”, our Celtic Cross Advent Wreath features Celtic Knotwork. Comes gift boxed with four 10” Candles.